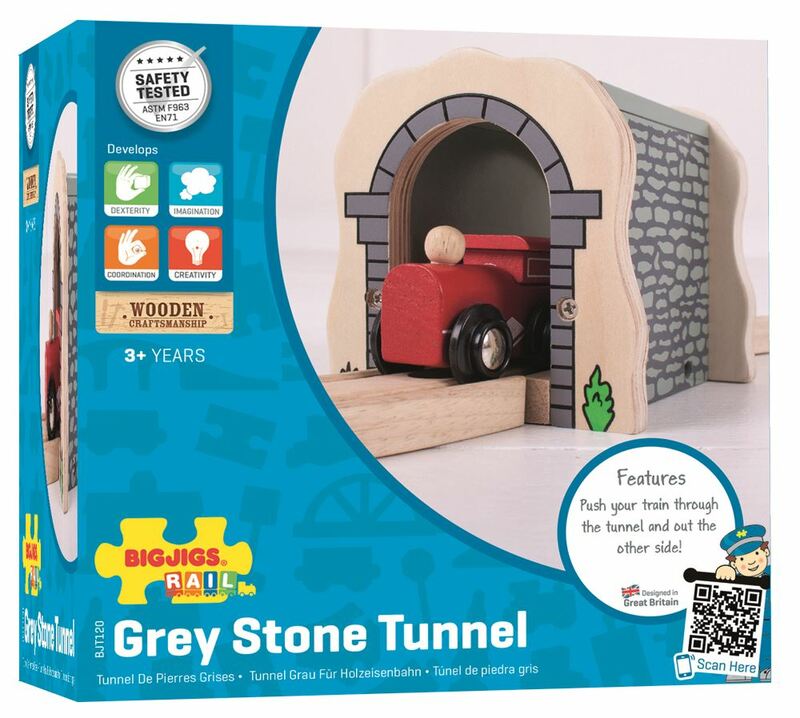 Adding a Bigjigs Rail wooden Grey Stone Tunnel to help create a sense of atmosphere in every rail network. This authentic looking tunnel is a best seller and creates a diverse landscape when used with other accessories such as bridges and level crossings. Age 3+ years. Compatible with most other wooden railway brands. Distributed in New Zealand by Holdson.